Secluded, first floor,2 bedroom, 2 bath, Merchants Wharf condo is complete with an open floor plan and spectacular views! If you love the outdoors you will love this deep water property. Wake to beautiful views with the sliding doors that retract to completely disappear, swim in the gorgeous pool, walk to the legendary Sunbury Crab company for brunch, or or walk to your boat just steps from your home with the 28 foot dock slip on the Medway river, all at no additional cost. 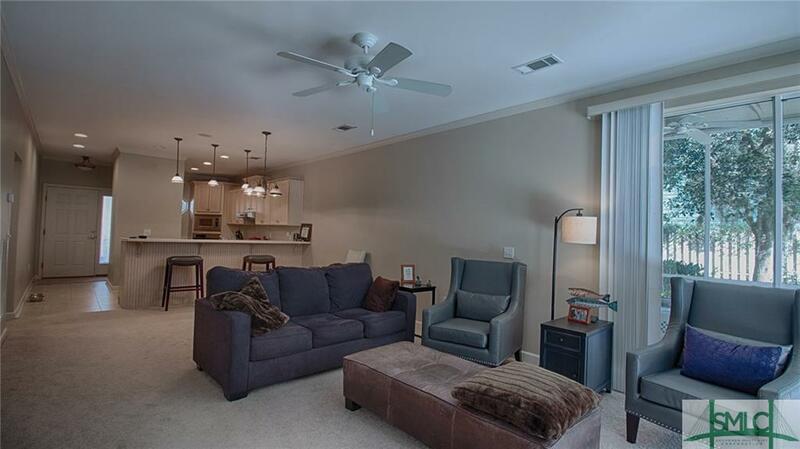 Only minutes from the intra coastal waterway and from the Dorchester shooting reserve too. Listing courtesy of Kendra Rouse of Exp Realty Associates, Llc. © 2019 Savannah Multi-List Corporation. All rights reserved.